A perfect lure to cover the “worm like baits” to those usual bait fish. Equipped with out standing casting distance and a sense of presence, a new size has joined the team. A new size is ready to joint the team of the “Manic Movement”. 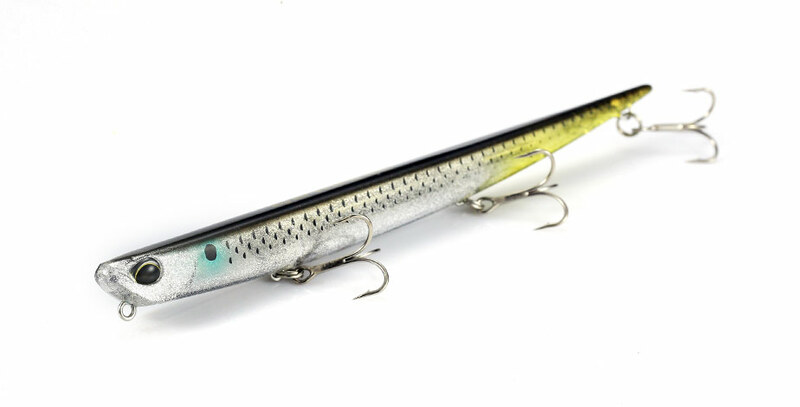 The lure creates an action never seen before, inducing bites from the weary targets. The 155mm size will not only be productive for the worm like pattern, but also your usual baits like the Gar-fish and other species of sardines. With its outstanding casting distance and ability to trace specific ranges consistently, anglers will be able to reach those unfished hot spots from the surface to the bottom range. We hope anglers around the world will be able to experience its sense of presence.